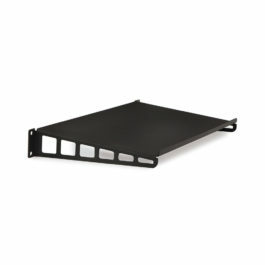 Commercial, military, aerospace, corporate, and small office applications alike, Rackmount Keyboard Tray will complement them all. 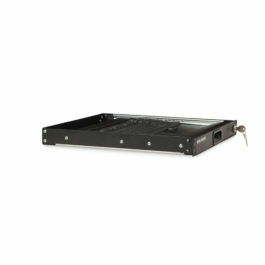 This heavy duty design is one of the most robust pull-out keyboard trays on the market. 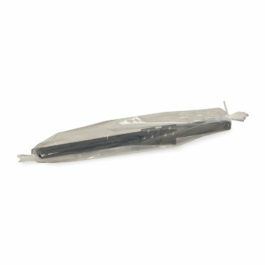 Don’t be fooled by its sleek, low profile appearance. This keyboard tray was built to last. 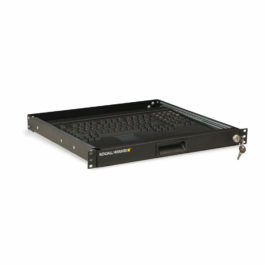 The keyboard and touchpad mouse simply slide out when needed to provide quick and easy access to your network. 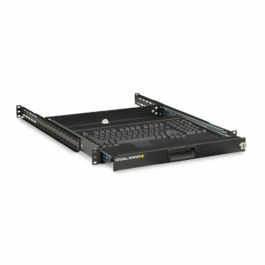 1U Stationary Keyboard Tray is a great way to support a keyboard in any 19″ EIA compliant rack system. 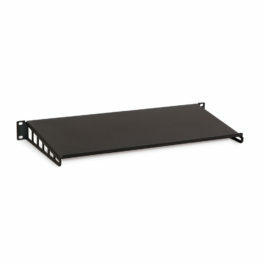 Easy to install, lightweight, and space-efficient, this keyboard tray allows for easy access to your keyboard. 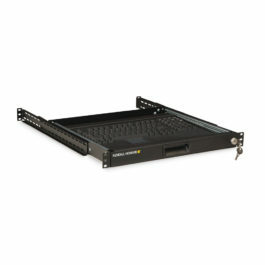 Rackmount Keyboard Tray Extension Kit is the perfect add on to the 2-Post Rackmount Keyboard Tray! 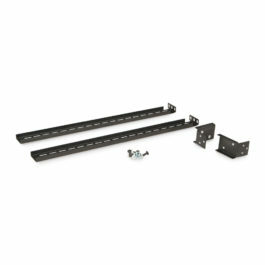 With the use of this extension kit you can take your once 2-post mounted keyboard tray and add strength and stability to it by securing it to four rails.